The most conversed young gun of India, Virat Kohli is a personified cricketer you have ever known. Nick named as Cheeku is the right handed batsman. He is that one cricketer who has the ability to spell magic on the ground from his blistering knock of 4s and 6s, as well as on females. He possesses a huge female fan following not only from India but across the World. In ODIs, Kohli holds the record of scoring fastest century by an Indian Batsman. 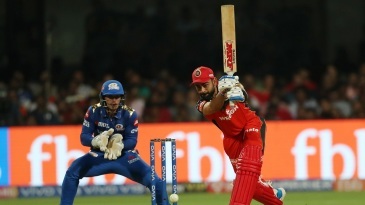 He is the fourth batsman after Saurav Ganguly, Tendulkar, and Dhoni to score 1000 and more runs in three calendar years consecutively. He possesses the record of most centuries in chases with 11 hundreds behind Sachin Tendulkar. Kohli was the first batsman to score five successive fifty plus runs in ODIs on different occasions. Virat Kohli made his debut in the national side in 2008 and was part of the Indian team which won the 2011 World Cup. Kohli played his first test match in 2011 against West Indies in Kingston. Recalling the catastrophic 2011/12 India tour of Australia, where the senior batsmen struggled, Virat Kohli was remarkable scoring his first Test hundred in Adelaide. The exceptional skills of Kohli made him glorious as he gained the ODI Player of the Year award in 2012. Sports Pro has rated him as the 2nd most marketable athlete in the world. Virat Kohli smashed magnificent seventh fastest ODI century against Australia in October 2013. He gained the position of top ODI batsman for the first time in November 2013. Kohli was the Man of the Tournament during the 2014 T20 World Cup in Bangladesh. He has a bright future in Indian Cricket and is currently leading the test side of India. 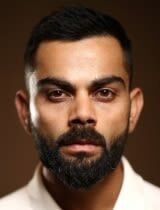 Find Virat Kohli profile and stats of batting, bowling and fielding including latest updated news of Virat Kohli, videos and images at Hamariweb.com. Also find detail Player profile and career statistics of Virat Kohli of India. virat superb game,continue the same. He is really a dangerous player for any team. His consideration level is very high when he is palying & he know whtat is his responsibility. 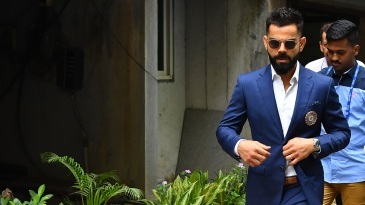 Virat Kohli - Find Virat Kohli of India Cricket Team complete player profile, number of matches, runs score, wickets & catches, Statistics, Records, Virat Kohli Latest News, Virat Kohli Videos, Virat Kohli Photos, and other Virat Kohli Cricket Team players.